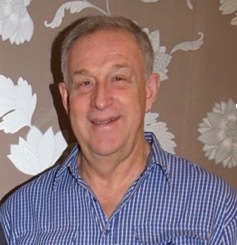 Former electrical engineer, Kevin, 70, Brisbane is happily married with three adult sons and two grandchildren. A keen photographer, Kevin occasionally delivers an address to his camera club. Throughout the latter stages of his professional career, Kevin actively participated in the speaker’s club at his offices, where he, together with several of his colleagues, prepared and delivered speeches to each another. Yet, for most of his life, public speaking did not come naturally to Kevin, who has battled a life-long stutter. Kevin’s earliest recollection of stuttering was at eight years of age when he became acutely aware that his speech was different to others. “As a child, when I was eager to express myself, or when I became highly emotional, my parents and others would often tell me to slow down, or to take it easy, because I would start to stumble over my words. “My father also lived with a stutter, so my family was aware of the disorder. But he was pretty good at disguising his stutter,” said Kevin. In the late 1950s, when Kevin was about 11 years of age, he visited a speech therapist for help, who took him through various exercises, including use of biofeedback via voice recording. “The speech therapist had an early recording device which she used to tape my voice directly onto a record, or LP. “I was fascinated by the recording, which she used to officially diagnose me with a stutter,” Kevin said. Years later, in 1982, Kevin was once more assessed to determine the severity of his stutter as part of his application to participate in a smooth speech course run by Speech Pathologists through the Brisbane General Hospital. He was subsequently informed that his stutter was sufficiently serious enough to warrant his acceptance into the course. “My stuttering was never severe. Although I stuttered every day for years, I did not stutter in every sentence. “During adolescence and into early adulthood, I chose to practice avoidance, by substituting or completely avoiding certain words and phrases to help mask my stutter,” said Kevin. Following his acceptance into the Speak Easy course, Kevin grew determined to improve his speech, and attributes the techniques he learned in the course for markedly improving his speech. “Before the course, there were certain ways I approached speechmaking, and public speaking. For instance, I distinctly recall delivering my thesis at University – a ragged, difficult, stressful and extremely unpleasant experience. “After completing the course, I was determined, and even confident, to deliver speeches,” Kevin said. Kevin recalls various participants quitting the course due to the difficulty they encountered with learning to speak fluidly. “It was a difficult and tedious course, but one I’m extremely grateful for having completed. “The course dramatically improved my speech and the techniques I learned armed me with a level of fluency I had never before experienced,” said Kevin. Following the course, Kevin joined the speaker’s club at work, and continued to push himself to make significant improvements to his speech. “Initially, I found it very stressful to deliver speeches, but that’s all we did in the club. After my first speech, I gradually built on my techniques, and it ended up being a really positive thing for me,” Kevin said. Now in retirement, Kevin is no longer presented with a plethora of opportunities to improve his speech, and occasionally elects to avoid speaking on the phone. But when the odd opportunity arises to deliver a speech, Kevin rises to the challenge. “Recently, I delivered a speech to my camera club. I put some time aside, and prepared well. “I continue to attend Speak Easy, including their annual retreat held over a long weekend, which involves an oratory competition, for which you have to prepare a presentation to deliver to all participants. It’s challenging, but can be rewarding as well,” said Kevin. Kevin is participating in the NHMRC Centre of Research Excellence for Speech and Language ‘Genetics of Stuttering Study’, which aims to identify the genetic contributions of stuttering. He hopes his contribution will make a difference to those with lived experience of, or a genetic predisposition to, the disorder. “I believe that genes play a role in stuttering. “Genes tend to influence many conditions and diseases, and while many other things can contribute to stuttering, I think genes may predispose you to the disorder,” Kevin said.